Damn, it's been a busy, busy month! Completely forgot about this until today. As such, I hope you'll forgive my reliance on shortcuts and a teeny tiny review. Lisa Kerry witnesses a private death squad attack street kids close to her bookstore. When the police take no action, she vows to purge Rio of the ruthless killers. To keep him out of the line of fire, she must quell her affection for the one man cut out to exorcise the demons of her past. Drawing strength and rage from the abuse she suffered as a young girl in a juvenile detention center, Lisa closes in on her marks. Unable to get to the rich and powerful leader of the recreational killers, she enlists the older brother of one of her street urchin friends—a drug lord. Lisa's pursuit of justice spirals into a violent struggle to survive, for herself, her young charges, and the man she loves. Based on the plot, to be honest, I was not so impressed. These kinds of tales are a dime a dozen nowadays, and an ebook that is largely self-published does not inspire confidence. But the book manages to surprise. The writing style is a bit rough around the edges at times, but on the whole the book does a good job of building a solid narrative. The protagonist is clearly defined as a character, and the supporting cast also gets chances to shine. 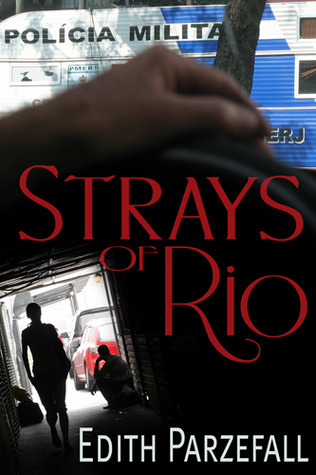 Where the book really shines through is in its ability to capture the nature of a crime novel in Rio. I'm a bit of a Brasilophile myself, so I can say with some certainty that it is very hard to get the feel of what Brazil truly is, the light and the dark and everything in between. But Parzefall gets this right better than I would have expected, in no small part due to the fact that she has apparently spent a not insignificant amount of time in the country. And this is where the book starts to differentiate itself from the run of the mill airport thriller. Is the book a must read? Honestly, probably not. It shows potential but also falls short at times. But it's certainly an engaging and interesting read, and worth checking out. Sorry for the ridiculously short review. Like I said, busy time. 3 months ago I was at 27 books/reviews for the challenge, right on track for my target. With a book a month since I am now at 30 with 5 months to go. That means 10 a month for the rest of the year. I can still do it if I have more months like February and April, but it will be tricky. Well, here's to the next 50 books!